A Control Plan is a document that describes what is required to keep a process at its optimum level after an improvement initiative. It helps ensure that the improvement that has been achieved will not deteriorate once the improved process is returned back to its owners. It often includes information such as the controls in place and performance indices. It can also include a reaction plan that will help the team to know what to do in case of deviation. 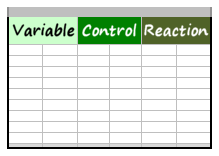 This control plan template is a Microsoft Excel document that you can use and modify to suit your specific needs. It can easily be modified to include additional sections if desired. For example, you may want to add additional columns to include information such as the method and equipment used for inspection. Please help us to make this template better by providing us with your comments and suggestions.